Snack time should be easy, healthy and tasty! 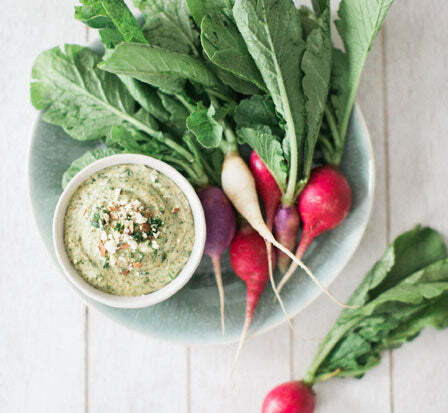 Our Almond Cilantro Spread is one of our favorite recipes to whip up with The NutraMilk. One serving of this spread contains approximately the recommended amount of 1 oz. of almonds per day and all of its nutrition! Plus, you'll get even more of a health-boost from the nutritional yeast added to the mix, which is a concentrated source of many vitamins and minerals, specially B-complex vitamins and zinc. It feels good to eat healthy! Almonds are powerfully nutritious. They are the tree nut that is highest in six essential nutrients, they have probiotic potential and are packed with protein and fiber, not to mention high in monounsaturated fat (the good heart-healthy fat). A great addition to a diabetic and weight management diet as they can help curb cravings and have a low glycemic index. And the American Heart Association has certified almonds with the sought-after "heart-check mark"! Watch as Emilie Sobel shows us how to make this easy, healthy and tasty treat! You can make this recipe with blanched, roasted, or raw almonds. If you decide to blanche your almonds, make sure they are dry before using them in your NutraMilk. Press Butter cycle, set and run for 4 minutes. Open the container lid and add the remaining ingredients except for a ¼ cup of water. Replace the lid. Press Butter cycle, set for 1 minute, and run for 15 seconds. Open the container lid, and add the rest of the water. Replace the lid. Press Butter cycle, set for 1 minute, and run for 20 seconds. You can eat this on crackers, or use it as a spread on sandwiches, in wraps, and with crudité.